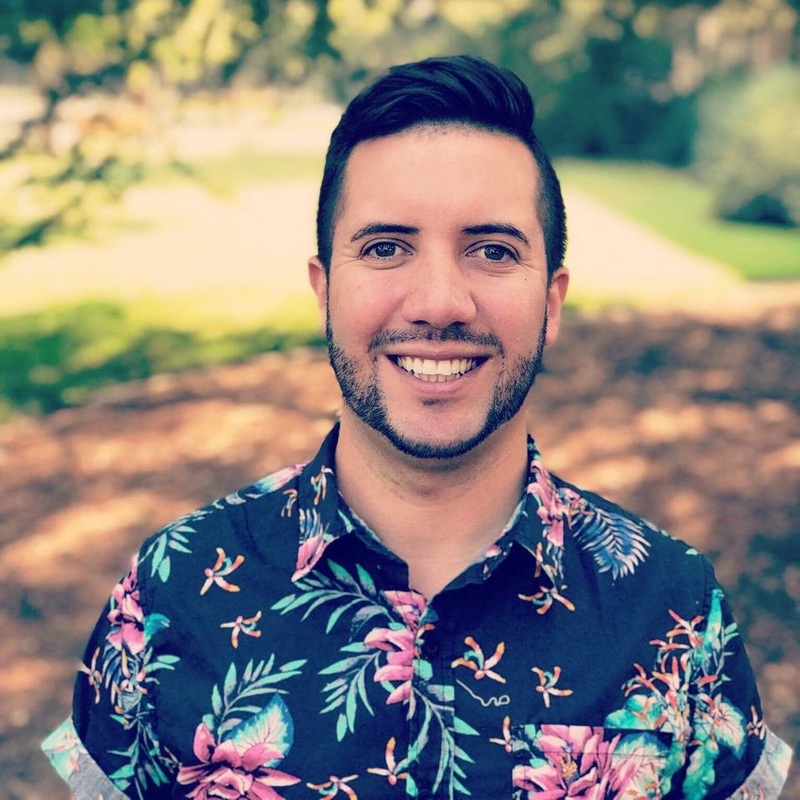 David Heitstuman, Executive Director of the Sacramento Region’s oldest and largest LGBTQ+ organization, is recognized as an imperturbable and results-driven political and communications team leader. He received the Stonewall Freedom from Fear Award in 2016 for his transformative work in the Sacramento LGBTQ+ community. Before coming to the Center he was chief consultant to California State Assembly Speaker Anthony Rendon and had served four prior speakers over 12 years in the Assembly including Toni Atkins, John A. Pérez, Karen Bass, and Fabian Nuñez. He also served as trip director for Assembly Democratic Campaigns, operations director for Steve Westly’s 2006 gubernatorial campaign, advance team lead for Hillary Clinton 2008, Kerry-Edwards 2004, Howard Dean for America, and the Democratic National Committee. He started his career as a communications aide to Governor Gray Davis. In addition to his statewide and national professional career, he is active in the local community serving as Chair of the Sacramento Parks & Recreation Commission and has served as President of the Sacramento LGBT Center Board of Directors, Member–at-Large on the Sacramento Valley Gay & Lesbian Softball League Board, and as Chair of the Sacramento City Special Events Ordinance Review Committee. 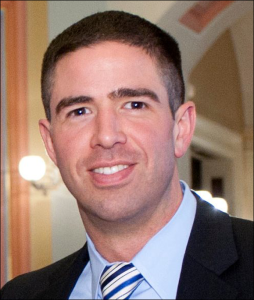 David holds a Master’s Degree in Public Policy & Administration from CSU Sacramento and a Bachelor of Arts degree in public relations and business from Gonzaga University. He is also a graduate of the Stanford Graduate School of Business LGBT Executive Leadership Program and the Equality California Institute Leadership Academy. He is well known for his event production prowess including bringing the Sacramento Red Dress Party to life in 2012. He enjoys volunteering for LGBTQ+ activist causes, weightlifting, softball, international travel, and dinner parties at home. He grew up in the Yakima Valley of Washington State and moved to Sacramento in 2001. He and his partner Spencer reside at the intersection of Midtown/Oak Park/Curtis Park. 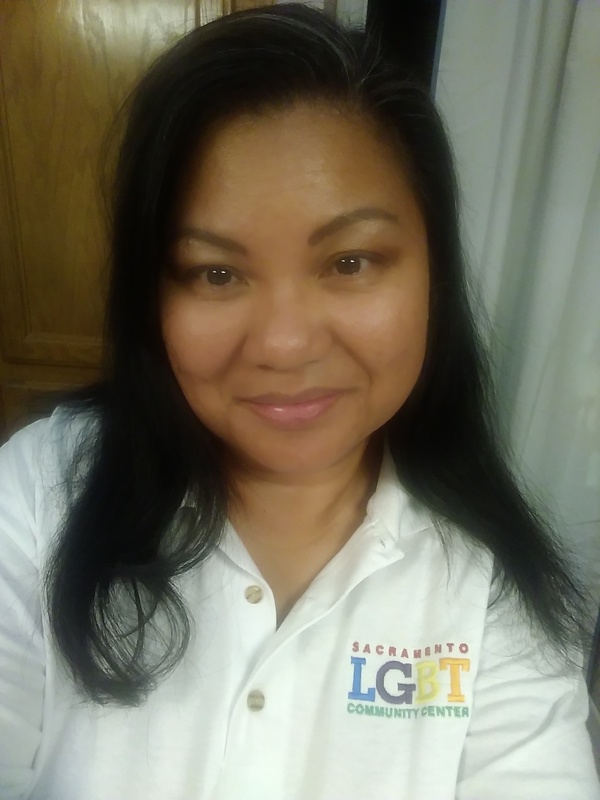 Crystal is honored to join the Sacramento LGBT Community Center as Office Manager. As a long-time Sacramento area resident, she is looking forward to fueling positive change in our community! She also serves in an advisory capacity for the Gender & Sexualities Alliance and as member of the board for the Rocklin Education Excellence Foundation. When she’s not volunteering, you will find Crystal being a mom, taking care of her many pets, being crafty, or training for a marathon. Crystal is looking forward to connecting with you and helping you make a difference! 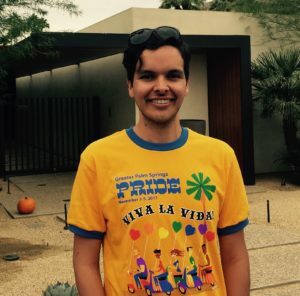 Koby Rodriguez (he/him/his) serves as the Director of Programs at the Sacramento LGBT Community Center. Within this capacity, Koby leads a department of 12 staff providing client-facing services to the LGBTQIA community in Sacramento, California. Prior to his appointment, he spent the previous fourteen years in higher education, most recently serving as the Associate Director of the UC Davis Cross Cultural Center, working with scholars and student staff to advance social justice and intersectionality programming in one of California’s largest university cultural centers. Before arriving to UC Davis, he led campus diversity, inclusion, residence life, and housing programs at the University of Redlands. Koby’s radical social justice philosophies are informed by his Mixed-Latinx Queer identities. He also has experience as an instructor, conference presenter, and trainer, and currently serves as Past-President of the California Council Cultural Centers in Higher Education (CaCCCHE), a network of social justice educators and practitioners in California. He also previously served as the National Association of Student Personnel Administrators’ Men and Masculinities Knowledge Community Region VI Representative. Both his undergraduate (Race and Ethnic Studies) and graduate (Higher Education) work took place at the University of Redlands. Koby resides in Natomas with his partner (Mikey), corgi (Konah), and shiba inu (Bao). Lanz Nalagan is honored to serve the LGBTQ+ community in his capacity as Annual and Corporate Giving Director for the Center. Over the years, he grew passionate about campaign finance and philanthropy in the political and non-profit sectors, and he is grateful that his current work reflects that. After immigrating from the Philippines, Lanz grew up in the East Bay area and attended school in the beautiful Central Coast- earning a B.A in Political Science from Cal Poly, San Luis Obispo. He also lived in Washington, D.C before working in Sacramento, CA. He’s a long-time board member of the Stonewall Democratic Club and its newly created Stonewall Foundation of Greater Sacramento. 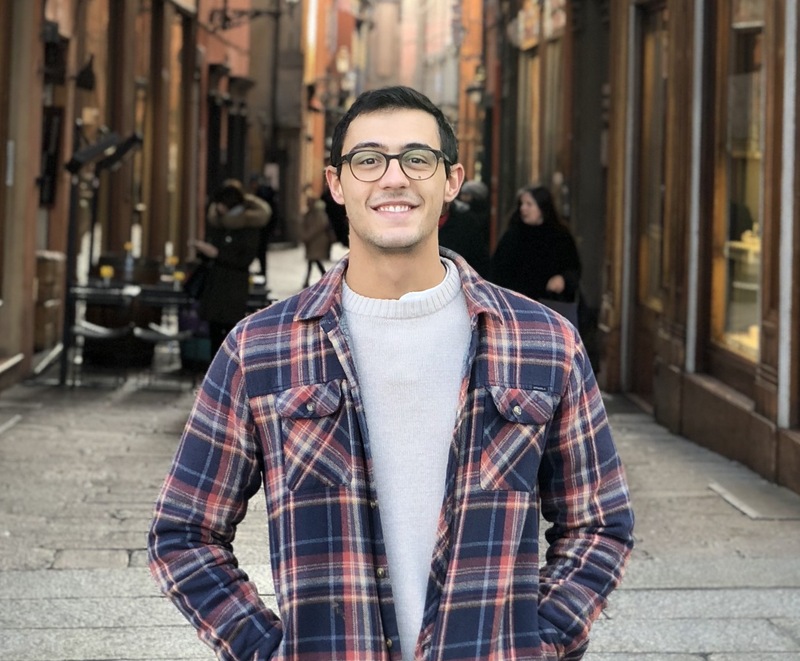 Lanz is a member of the Association of Fundraising Professionals, and hopes to earn his CFRE- Certified Fundraising Executive- in the near future, to continue funding causes he’s passionate about. 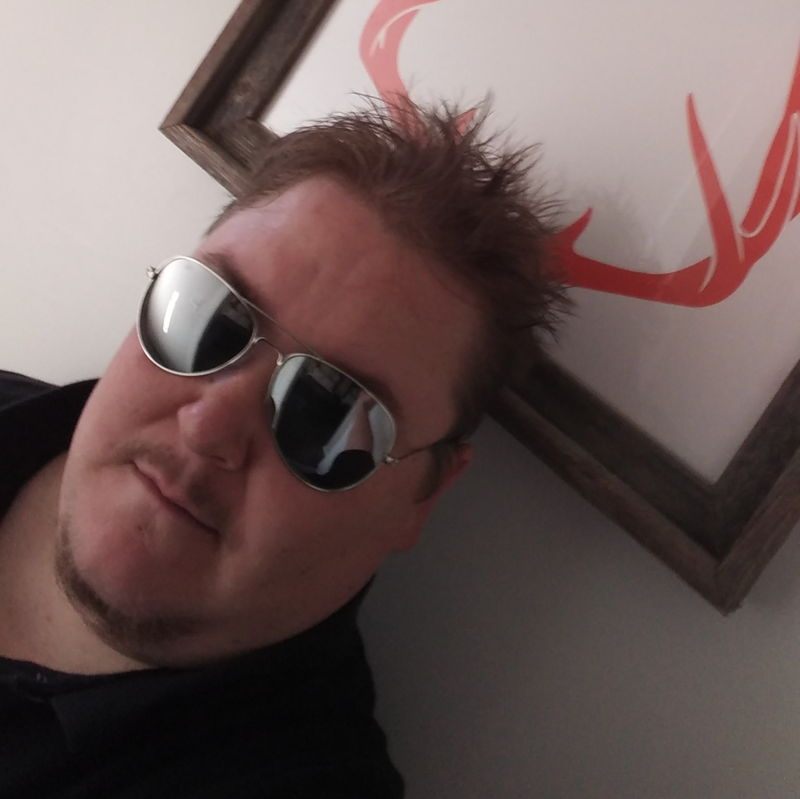 In his free time, he enjoys the outdoors, tennis, skiing, square dancing, pole sports, and spending time with family and friends over good eats and drinks, karaoke, games, and any sci-fi, but especially TNG and Firefly. Jesse loves to go to work as the Youth Programs Manager at the Center. He not only gets to help young LGBTQ+ people get greater access to resources and social support, but he also gets to hear their unique perspectives on life, growing up LGBTQ+, and navigating the world today. Jesse graduated from California State University Sacramento with a Bachelor’s in Sociology. He enjoys reading about social and economic theories that explore how the relationships between power, gender, sexual orientation, disability, and race construct society. His education informs his approach to creating a supportive and inclusive space for Sacramento’s diverse LGBTQ+ youth community. Jesse spends his free time playing video games such as World of Warcraft and Heroes of the Storm. He enjoys the strategy and critical thinking skills that games demand. He also enjoys the unique thrill of escaping into prosocial forums were people learn to work in teams, build long lasting friendships, and most importantly, slay dragons. Jesse is also an avid gardener. He devotes many sunny afternoons to tending to the veggies and fruits that he likes to grow. Jesse’s husband is not as interested in gardening, but he’s always happy to taste-test Jesse’s vegan culinary creations. Pixie is humbled and honored to serve the community as the Assistant Director of Housing. 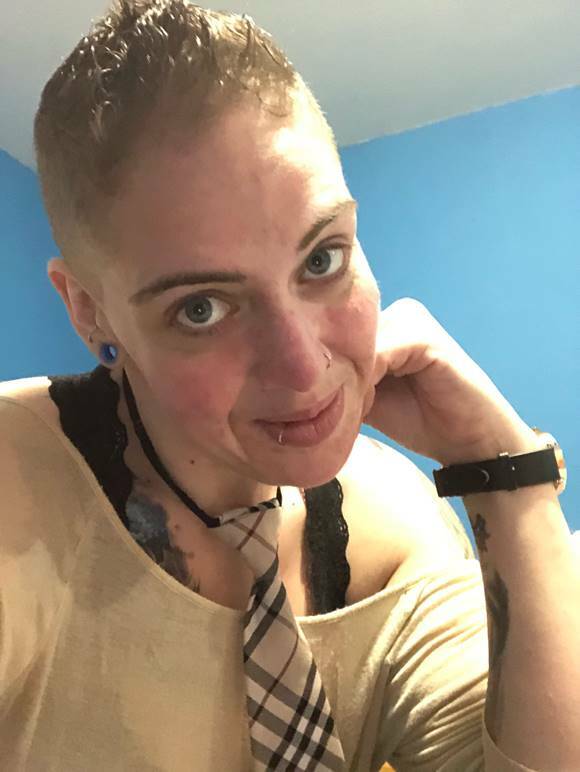 Pixie holds a Masters of Social Work degree from California State University, Sacramento, a Bachelor of Arts degree in Psychology and Human Services, and is currently completing their ASW hours towards licensure. They identify as Queer, Intersex, Genderqueer, and at times GlitterFluid (especially when they’re wearing their glitter beard). They feel that this work speaks to them on a core level. Pixie has experienced being without a home on more than one occasion due to escaping unhealthy relationships/unsafe environments, financial instability, and unfortunate housing pitfalls. They appreciate the opportunity to focus on the underlying affordable housing crisis and social justice issues that directly correlate with the disparities of homelessness, especially within the LGBTQ+ community. It is their hope to utilize their position to create and maintain safe housing opportunities, empower and amplify others’ voices, and support community collaboration to achieve progress towards much needed social and systemic restorations. Since free time is scarce, Pixie enjoys dancing, busting out randomly like a broken karaoke machine, painting, crafting, and inspiring deep thought provoking conversations whenever they get a chance. Tyler Bertao is the Events Manger for the Sacramento LGBT Community Center. He has more than 8 years of experience executing events. He found his passion for events at his alma mater, the University of La Verne. Here Tyler received a Bachelor of Arts degree in communication with an emphasis in public relations. After graduation, he worked for a public relations firm in Los Angeles, focusing on the education districts within the county. He then moved to London for a year to pursue a master’s degree in Events and Experience Management. During his time in events he has worked for organizations like Pride in London, the Winter Olympics and Adobe Inc. He enjoys going to music festivals with his friends, traveling, dancing, going to the gym and lives for a nice picnic in the park. Marcy Basila is a recent Sacramento State University graduate. 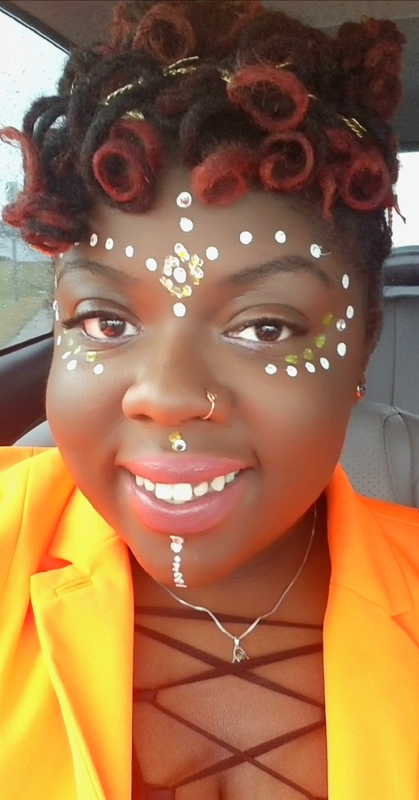 She was an intern at the center before she completed her Bachelor’s Degree in Social Work. In the Fall 2018, she will be pursuing her Master’s Degree in Social Work with a concentration on LGBTQ issues, Seniors, and Veterans. Marcy is a mother of four children and has a grand-pup named Sunny. She is an ally to the LGBTQ+ community and is a parent to an LGBTQ+ youth. Her hobbies include cooking, shopping, traveling, and spending time with her family and friends. Self-care is an important part of being a Social Worker and Marcy enjoys movies and popcorn. Marcy’s experience from interning with the Sacramento LGBT Community Center has brought meaning and compassion with her work. Her passion to help the most marginalized has taken her advocacy work to the California State Capitol lobbying for LGBTQ+ rights. She would like to thank the Sacramento LGBT Community Center in giving her the opportunity to be a part of their team, helping the LGBTQ+ community thrive. Krystal Peak joins us as the Center’s first Marketing & Community Engagement manager after more than a decade working in the journalism world and is excited to bring her expertise in communications and storytelling to our organization. 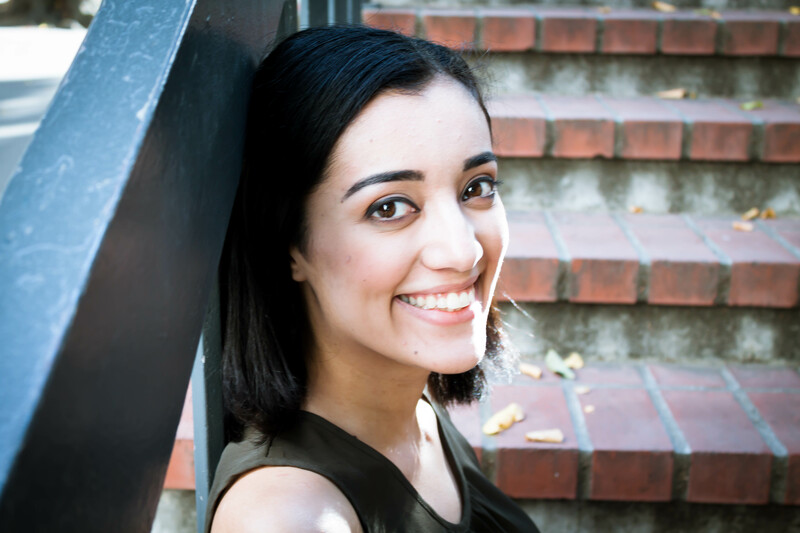 Previously, Krystal worked as a reporter, editor, and multimedia producer for the San Francisco Business Times and assisted in online operations and training for several of American City Business Journals’ national publications. Prior to joining us, Krystal worked in public relations for several technology startups and consumer product launches including AAA’s ridesharing service Gig and the first company to patent a home sous vide immersion circulator: Nomiku. She received her degree in journalism from San Francisco State University and moved to the Sacramento area in 2017 with her wife Gretchen. 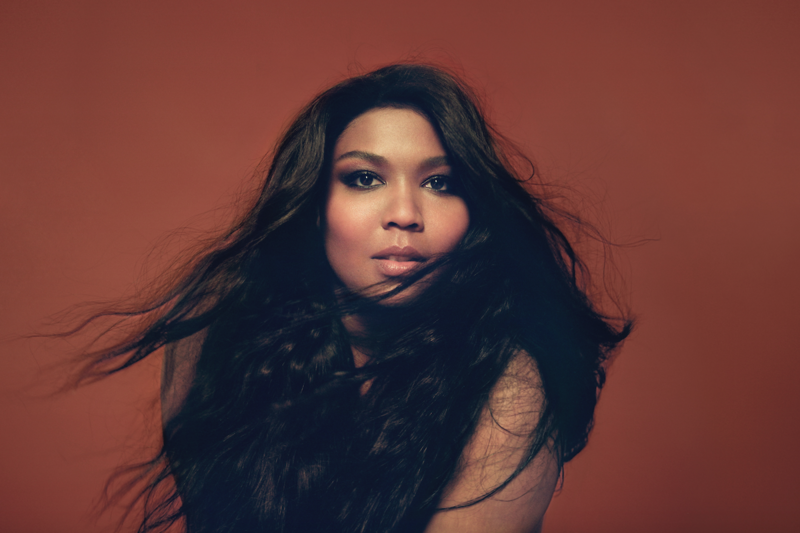 Krystal has been an active advocate for LGBTQ+ rights and social justice and was a member of the ACLU as well as The Association of LGBTQ Journalists (NLGJA) for many years. As one of very few redheads hailing from Hawaii (shout out to Bette Midler), Krystal always has a pair of sunglasses (or three) and some sunscreen close by. In her free time she loves to cook adventurous meals, powerlift more than her male friends, practice yoga and read the obscene number of books Sacramento’s public library system will allow her to borrow. Alexis Dailey is the Health Educator and Testing Coordinator for the Sacramento LGBT Community Center. She began her work in high school as an Intern working on the Infant Mortality Public Health Media Campaign. Now, as a Sociologist, she has honed her focus on health disparities and Epidemiology of marginalized communities. 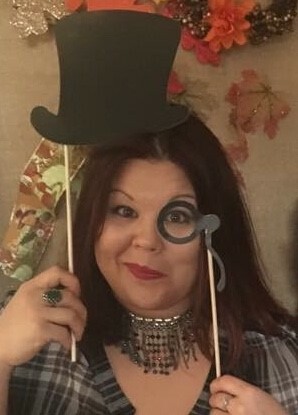 She received her Bachelor’s degree in Instructional Curriculum Leadership of Education from University of Memphis, where she worked as a Senior Technician in the IT Department her Senior year. She received her Master of Sociology from Arizona State University. As an educator for 7 years in Tennessee, she focused on bringing high quality educational and social experiences to youths in resource neglected communities. Her work as a doula, and a professional Reproductive Justice Advocate, fed her calling to focus even more closely on the health outcomes of the community. She has worked as an advocate of the LGBTQ+ Community, and has been a certified HIV Counselor for several years. 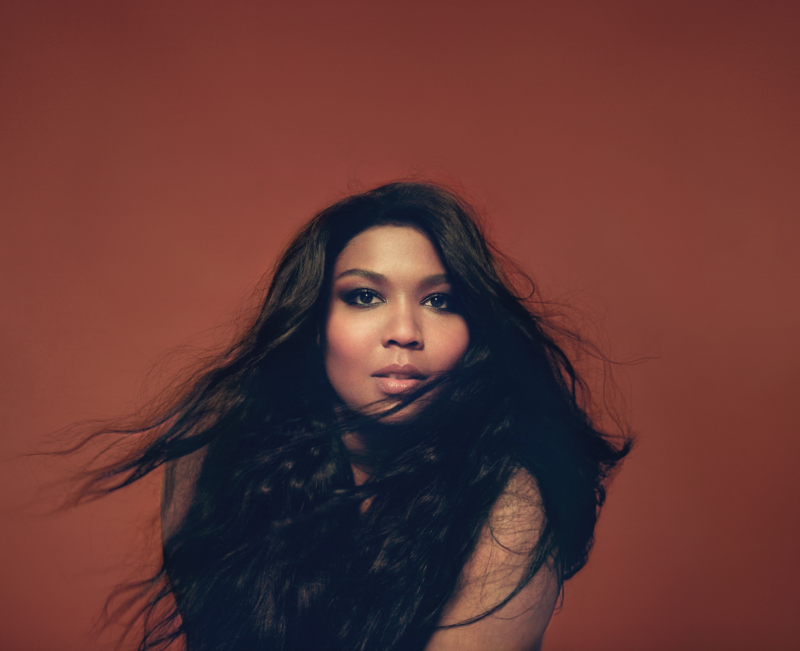 Alexis was born and raised in Memphis, Tennessee (901 Represent). After 2 years of living in Nashville, TN, she and her partner found the perfect location of Sacramento, CA to fulfill their dreams. She loves traditional Ethiopian Food and Deep South Cuisine. She and her partner have a Great Dane Mix named Sansa. She loves all things Harry Potter, Marvel, and general Blerd activities. She hopes to one day retire in The Cape of Good Hope, South Africa. Kelsie is so happy to have the opportunity to serve her local community through advocacy and leadership. 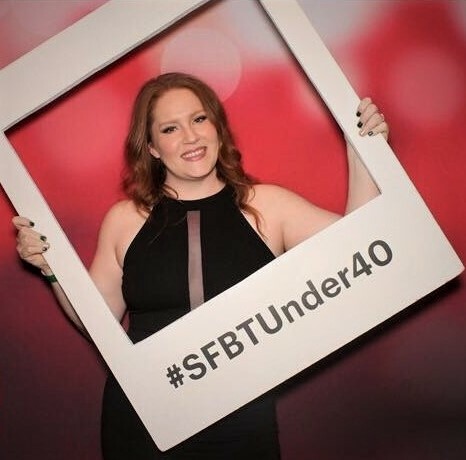 As a military dependent, Kelsie has moved for most of her life but has been in the Marysville Norcal area for the last 10 years, she has recently moved to Sacramento and couldn’t be happier. 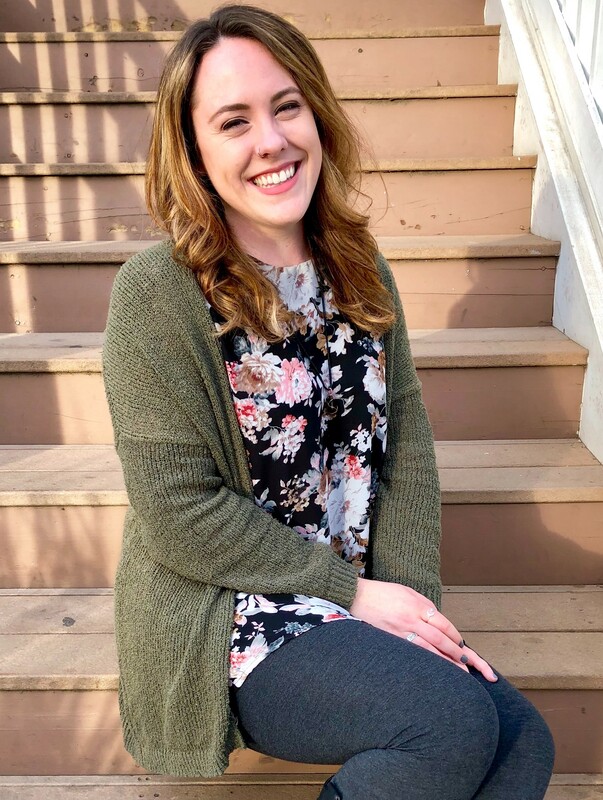 Kelsie has been working within the LGBTQ+ community for the last six years, working specifically with suicide prevention, campus climate among LGBTQ+ youth on college campuses, foster youth, and youth experiencing trauma. Kelsie will be graduating with her bachelor’s degree in Psychology in Fall 2018 from California State University, Sacramento. She will then go on to pursue a master’s degree in Social Work. Ultimately, she would like to be a social worker serving those most in need. Kelsie started out as a youth programs and front desk volunteer for the Sacramento LGBT Community Center in October of 2015. In February of 2016, she worked at the center as an AmeriCorps member in youth programs working with youth on skill development. In September 2016, she became a Peer Youth Advocate in the center’s youth programs. In her spare time, she enjoys spending time with friends and family, doing philanthropy work through her sorority, and spoiling her three cats and one dog. 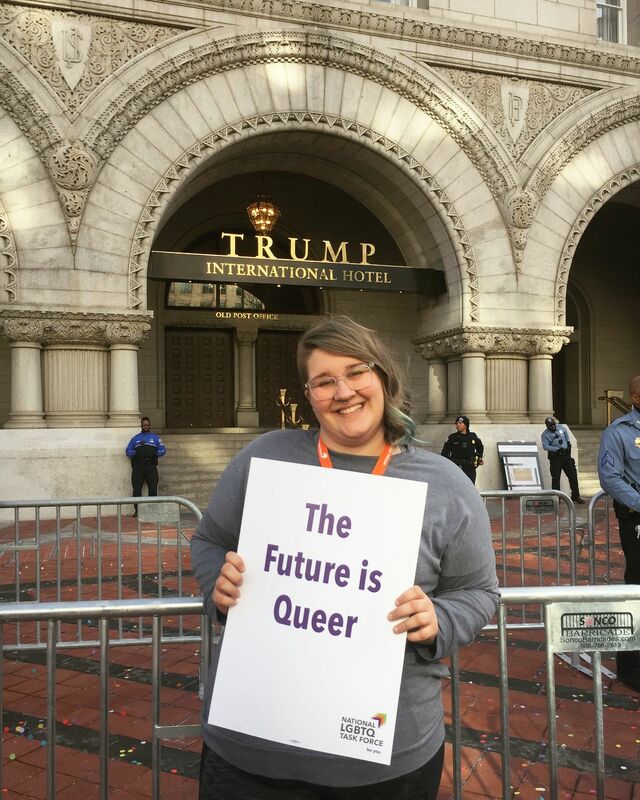 Rachel Henry is both honored and ecstatic to bring her passion for LGBTQIA+ education and engagement, training, and coalition building to the Center. Raised in the greater Sacramento Area, she has spent the last eights years studying and educating along the Central California coast. Rachel holds a Masters of Arts in Sexuality Studies from San Francisco State University and a Bachelor of Arts in Psychology from UC Santa Cruz. Most recently, she joins the Center after working in Higher Education at CSU Monterey Bay, where she expanded programming for LGBTQIA+ community members and improved training for the professionals that work with them. While in the Monterey Bay Area, Rachel was elected as one of the founding Co-Chairs for the Monterey Peninsula Pride organization. In her spare time, you can find Rachel reading a good book, strength training, on the search for a fun trivia night, or cuddling her adorable pup, Jake. Rachel loves being outdoors, staying active, and trying new activities. 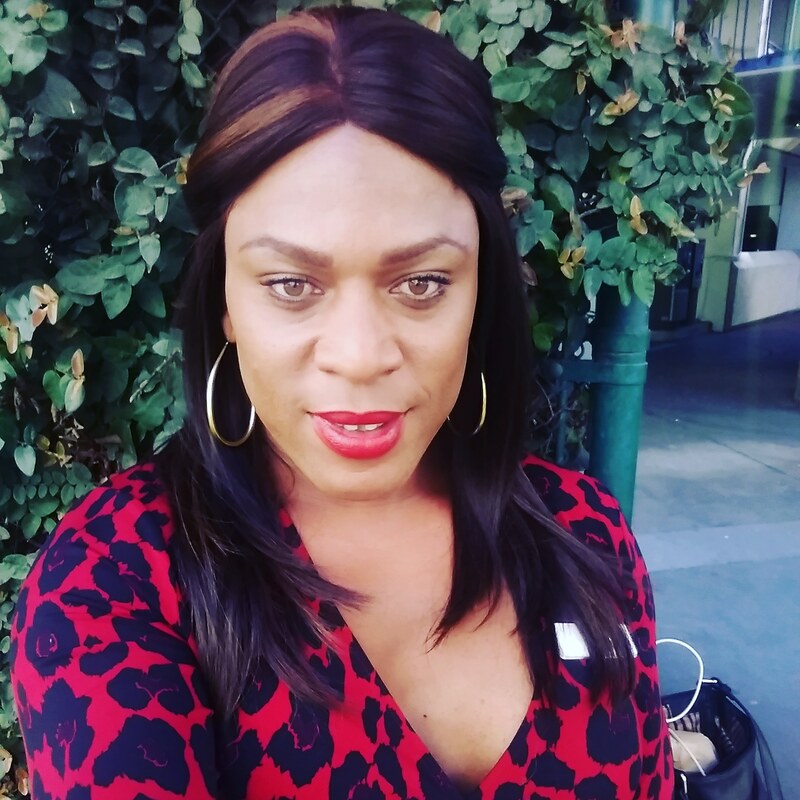 My name is Elizah Claborne (she/her/hers) and I am very passionate about Trans Women of Color issues and creating positive change for our community. I love to travel, cook, and hangout with friends and family. LGBTQ+ youth is something I’ve always been into, mentoring positive encouragement is key to the success of our young and I plan to have a spot in making that happen. Casey is so grateful for the opportunity to put his passion for and skills in data management to use for the LGBTQ+ Community. He’s been a member of the community for twenty years, having held positions at New Helvetia Coffee Shop and Hot Rods Burgers in his youth. An eleven-year veteran of the hospitality industry, Casey has a demonstrated history in using for-profit business strategies to promote the success of non-profit organizations. He began his career at the HI-Sacramento International Hostel, where he exhibited an innate talent for Sales and Marketing. He accepted a position at a corporate hotel in 2007, in order to learn more about the hospitality industry with the ultimate goal of bringing that knowledge back to the struggling hostel. Armed with the tools of Revenue Management, the art and science of forecasting profit based on historical trends, Casey returned to the hostel and built a data management system that assisted the non-profit hostel in becoming financially solvent for the first time in its history. Casey’s experience is bookended by other positions he has held: Research Assistant at the Institute for Social Research through Sacramento State University and Data Analyst for PG&E’s Natural Gas Vehicle Department. When he’s not crunching numbers and nerding out on Excel, you’ll find Casey singing karaoke and playing table-top role playing games like Dungeons and Dragons and Shadowrun with his soon-to-be wife and son. 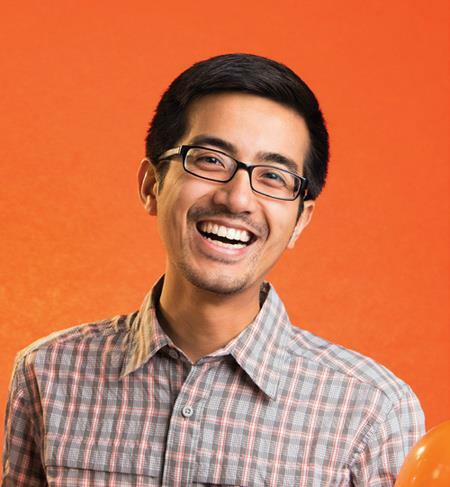 He looks forward to serving his community as Data Coordinator at The Sacramento LGBT Community Center. Riley is a senior psychology major at California State University Sacramento, due to graduate in May 2018. They got their Associates Degree in psychology from American River College May 2016 and received a certificate of technical theatre and a certificate of acting during the following semesters. In March 2017, Riley started volunteering in the Q-Spot at the Sacramento LGBT Community Center and became AmeriCorps Peer Youth Advocate at the center a year later. In 2017, they also served on the Transgender Inclusion Task Force at California State University Sacramento on the AB 1732 subcommittee overseeing the facilities’ compliance with California’s bathroom bill. Riley is also a member of the Kaiser Transgender Member Advisory Council for the Greater Sacramento Area. This committee is working to help Kaiser staff better relate to and provide services for their transgender patients, as well as to create more efficient service portals and support systems for transgender patients within Kaiser Permanente. 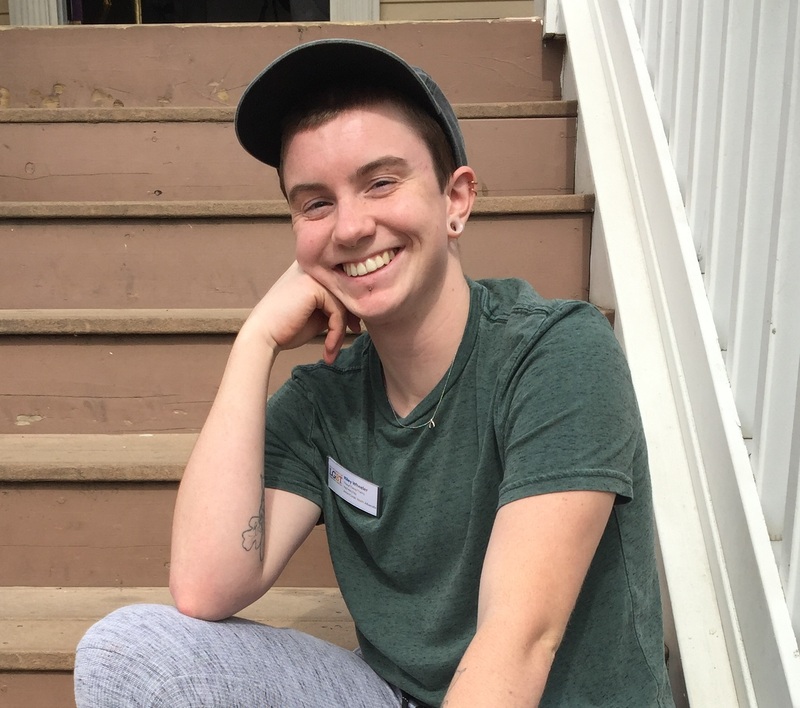 Working with LGBTQ+ youth and supporting them as they reach their full potential is Riley’s life passion and they look forward to a career in serving the future of their community. Riley identifies as a non-binary trans man and uses they/them or he/him pronouns. Erica is from the small, Danish town of Solvang, California. They recently graduated from UC Davis where they majored in Community and Regional Development and minored in Theatre and Dance. During their time at Davis, they were an active member of La Familia and ally for the Asian Pacific Islander Queers (APIQ). They worked as the Gender and Sexuality Coordinator for the Latinx community and also worked as the Campus Climate Coordinator for the Cross Cultural Center. In 2016, they received the Angelina Malfitano Award for their work in UC Davis queer and trans community over the years. In their down time, Erica likes to make people laugh. They are a very theatrical person with over a decade of experience in creating quality puns and dad jokes. They are fluent in the art of puppet-making and can always find a way to make something out of nothing. Erica also enjoys playing with makeup and teaching others how to create drag personas. Their lifetime goal is to use theater as a tool for community engagement. Erica is very excited to be a part of the Sacramento LGBT Community Center. They are looking forward to working with LGBTQ+ youth in the community. Richard Martin’s career in nonprofit administration has spanned twenty years and four California counties. Richard’s grant proposals have brought a range of projects from the drawing board to reality: group homes; shelters; programs for prisoners and children of incarcerated parents; substance abuse treatment, restorative justice, and workforce development initiatives; and affordable housing – built from the ground up. Richard’s stories, poems,and journalism have appeared in numerous anthologies, magazines, newspapers, and literary publications. His book, Hos, Hookers, Call Girls, and Rent Boys (Soft Skull, 2009) was featured on the cover of the New York Times Book Review and in major media publications and television and radio broadcasts worldwide. He holds a master’s degree in English from San Francisco State University and is also a graduate of the University of San Francisco’s Development Director Certificate Program. Richard is proud and grateful to be a part of the Sacramento LGBT Center team and for the opportunity to help make our community a place where LGBTQ+ people thrive. Michelle is a Bay Area native with a background of working for non-profits. 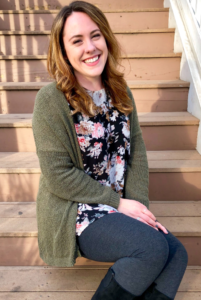 She has worked in Santa Cruz at The Rebele Family Shelter helping keep the families safe and providing them with whatever resources they may need. She has also worked to help house homeless veterans through Goodwill of Silicon Valley’s VIP program (Veterans Individualized Placement). Michelle’s passion is working with the community and spending time with her wonderfully amazing family. She believes in spreading love unconditionally and is super excited to be working with the LGBTQ+ Community. 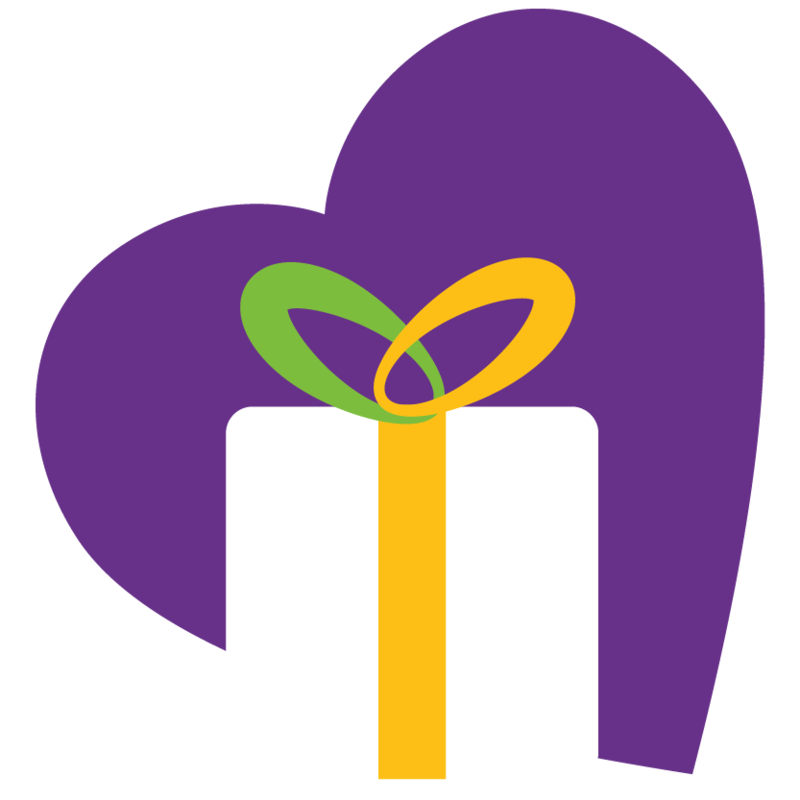 Nearly 800 people volunteer with the Center annually as board members, council members, program coordinators, event organizers, facilitators, writers, designers, receptionists, resource specialists, youth mentors, advocates, artists, HIV testers, and so many more roles we couldn’t possibly list them all here. A very special group of volunteers provide leadership of key areas, giving time and talent year-round. 🔎 Learn about the Center’s history. 🔎 See the Center’s mission, vision and values. 🔎 Meet the Center’s Board of Directors. 🔎 View the Center’s financial information. 🔎 Check out the Center’s accomplishments.